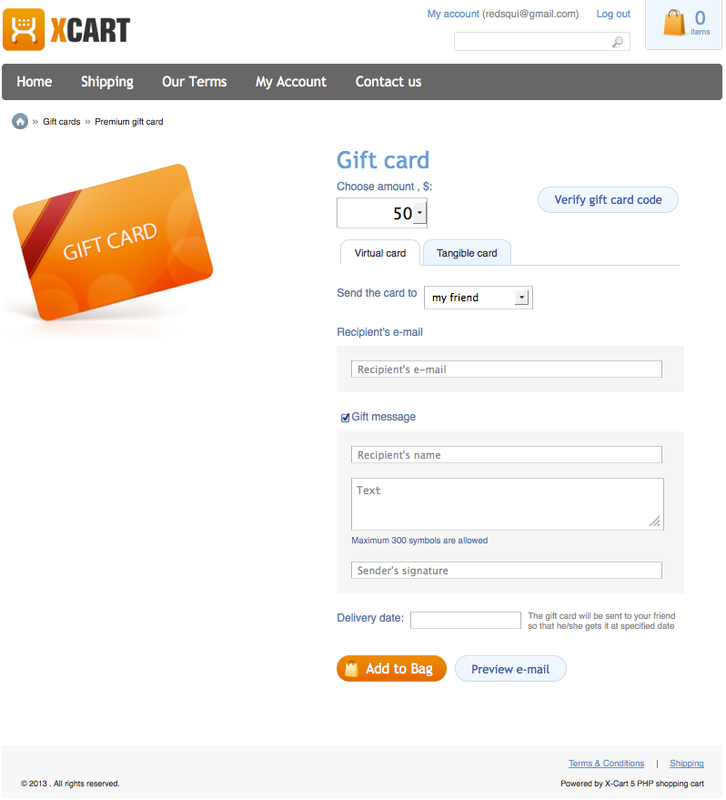 Give your customers the ability to purchase gift cards for their friends! Tangible or virtual gift card, pre-defined or open amount, auto-generated card codes or pre-defined ones , with shipping charge for a tangible card or without it - the module is so flexible to match your business model! 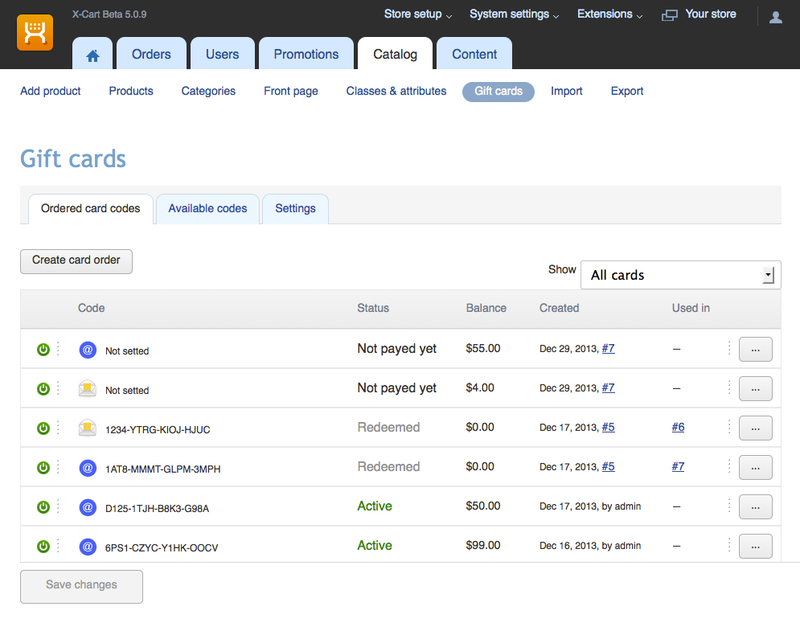 Administrators can view, create or update gift cards in the store back end and add pre-defined codes for tangible gift cards. 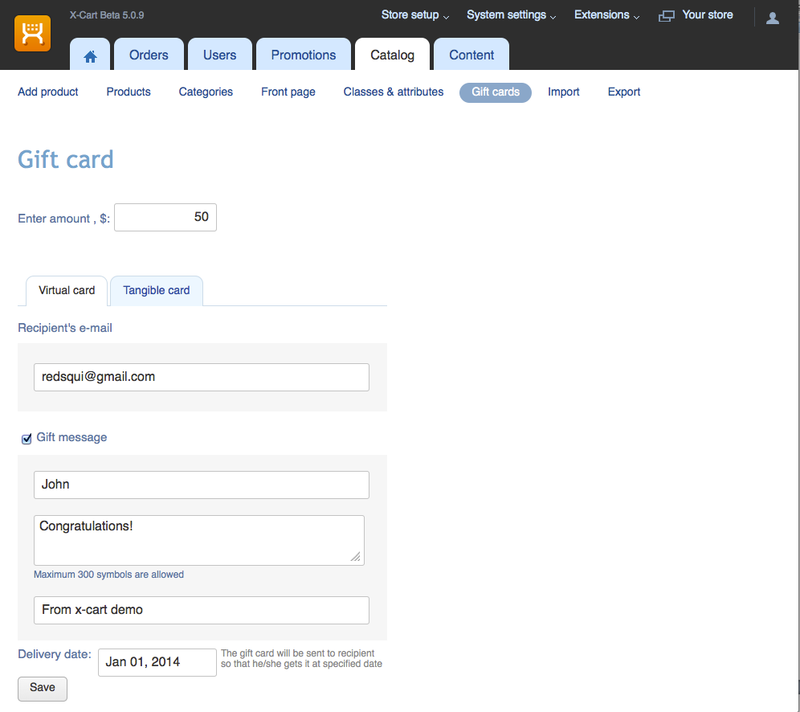 Customers can add a greeting message, preview the email and select the date when the virtual card is to be sent. They can also check the card balance, and of course, pay the difference, if their shopping cart subtotal exceeds the credit available. 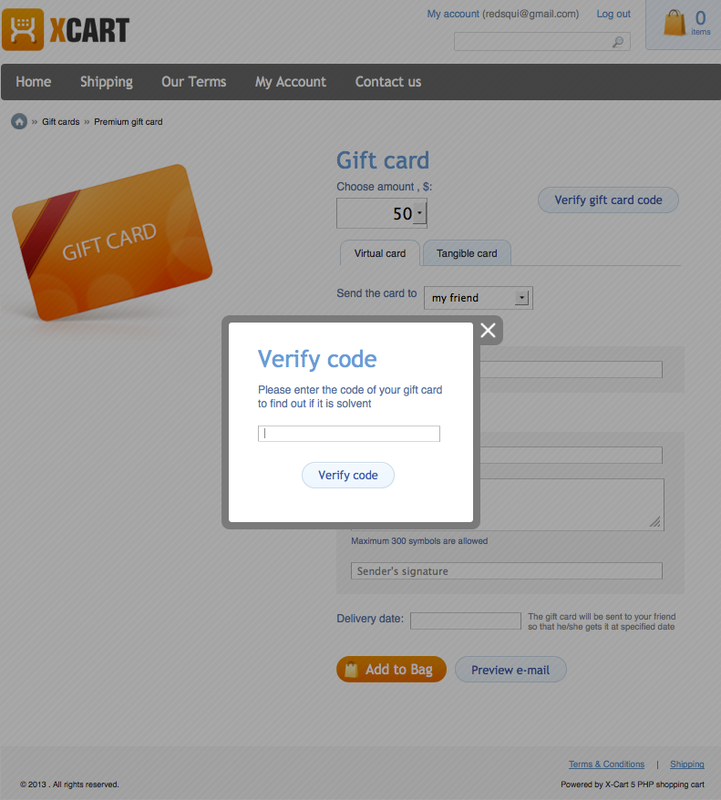 You can sell tangible, or virtual, or both types of Gift Cards. Admin can specify the range or pre-define the amount, and the customer will be able either to enter the value he likes or to select from the list of available ones. 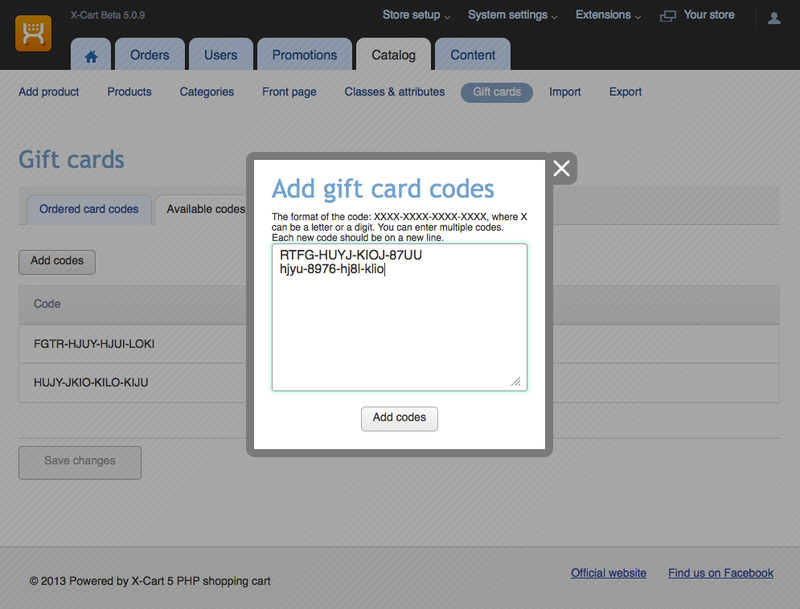 Depending on the business model, the admin can use pre-defined or automatically generated codes for the gift cards. Charge for shipping or not - it's up to you. But you do have a tool, of you decide to. 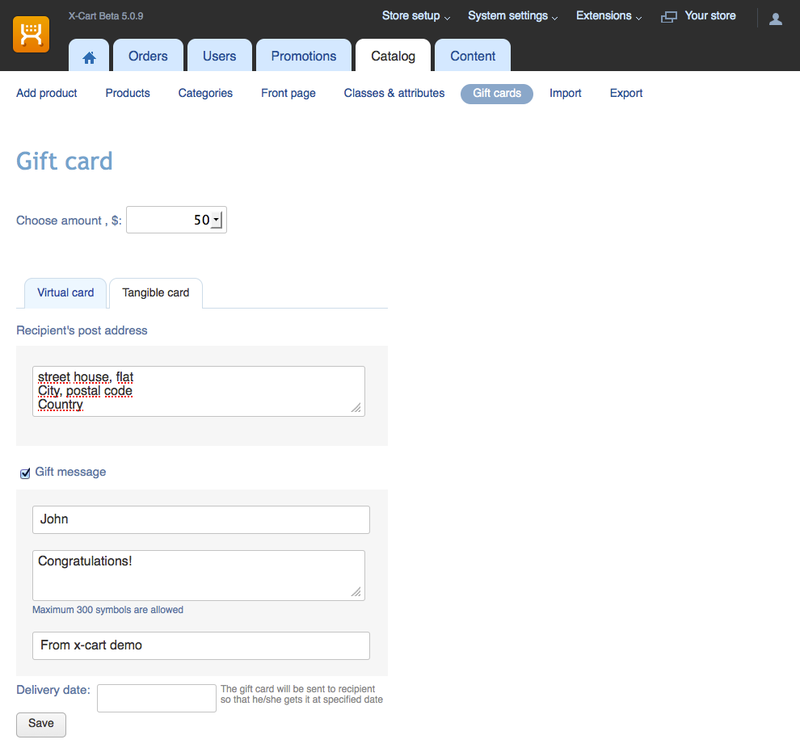 Administrators can view, create or update gift cards. 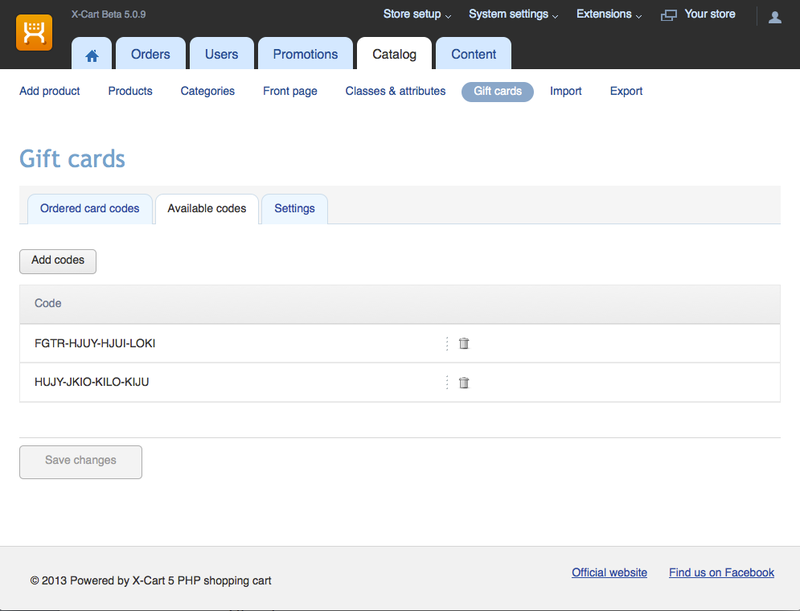 Email preview and postponed delivery - ability to check the email and make sure it arrives just on time! 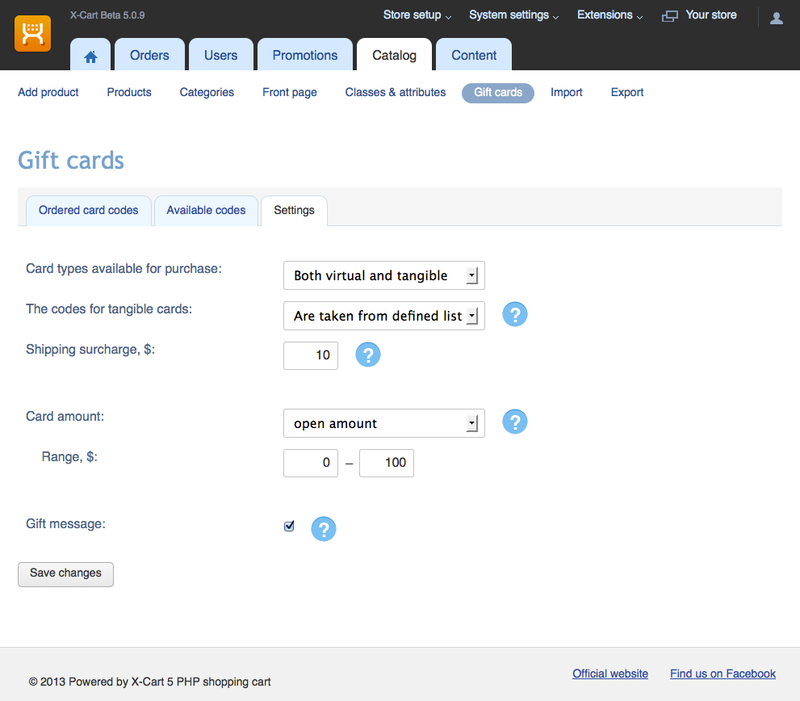 Your customers are not obliged to spend all the amount available in a single order. They can place a series of smaller orders - and pay the difference if the balance is not enough to cover the full order cost. The owner of a gift card can also check the balance easy and at any time. The setup is very easy. It gives an option to sell future sales. Plus as an admin you can print money. 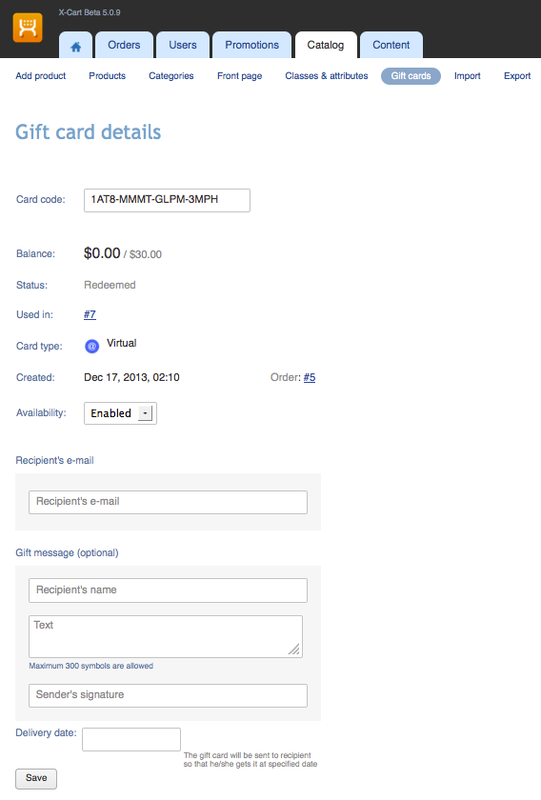 Sending someone a $20 certificate is a better incentive to spend that offering a discount. It seems to be money in the hand instead of just a discount.